A Twitter pal of mine. Hjörtur Smárason, is trying his very best to crowd-fund a film project on Kickstarter. He could do with your backing to help him. I was intrigued from the start (and have pledged accordingly). If you are interested, and want to pledge or find out more, you can do so here. oh, did I mention that his boat leaves on 15th June?! 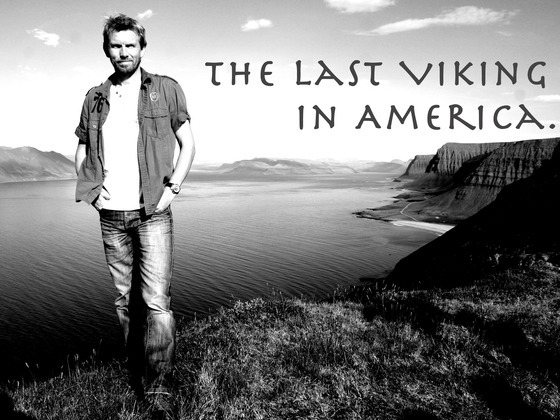 ‘Did the Vikings ever make it to America? Might there still be one left? My mission is to find him! The Icelandic sagas tell the story of Leif the Lucky who discovered Vinland in the west. More Vikings followed in his footsteps including his brother Thorvald (Þorvaldur). Thorvald was killed by an arrow from one of the natives as he was searching for a place for his future home and buried there. The description of the grave is quite accurate in the sagas but are they reliable? « Prometheus & North Iceland.